buy investment properties either to resell or to rent. To be successful in buying investment properties you really need to accomplish two things--the 1st is finding the right properties and the 2nd is getting the right financing. 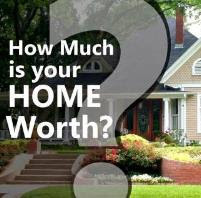 To find the best bargains, make sure you sign up for my Free Foreclosure Lists in Hampton Roads. These properties are bank owned and represent a great place to start looking for homes. Many of these homes are priced at attractive prices below similar homes in the same neighborhood. My lists are sorted by city and are updated twice a month so be sure to contact me and make sure you have the latest list. 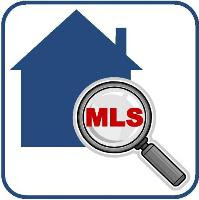 For more up to the minute response, sign up to Search the MLS for free and view both bank owned as well as regular resale listings. Homes which meet your criteria are immediately emailed to you within minutes of when a listing enters the MLS. in real estate: location, location, location. 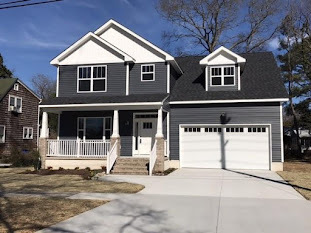 In Hampton Roads we are fortunate because of the strong military presence we have which insulates us from the severe market swings seen in other areas. People are still re-locating here and they still need places to live. Look for areas that have a high demand for housing or places within easy access to bases, hospitals, commerce, and industry. Also, don't forget about the water, one of the major attractions in our area is the proximity to the bay, beaches, and rivers. A nice beach or shore rental, or 2nd home or vacation home can pay for itself. Don't overpay. For every property you are considering purchasing have your Realtor do a Comparative Market Analysis (CMA) to help you determine fair market value and base your negotiations on the condition of the home and what the market will bear. Make sure you have your financing in order if you are not paying cash. The better credit and less consumer debt you have, the better rate you will be able to obtain. Let me help by putting you in touch with a great lender who can help you find the best loan at the best rate for your needs. Since properties vary in condition, some properties may need re-hab financing, FHA 203k and you want to make sure your lender is able to do these types of loans. When buying investment properties, the goal is to maximize passive income (rental income) and potential value (growth in equity). If you have the means, you can increase the amount of rental income you make by purchasing a few low cost units where the rent will cover the mortgage, or by buying multi-unit properties like duplexes, triplexes, or quads. If you have family or friends who are interested you can also pool your resources to making buying your investment properties more affordable for each party. expenses associated with the property before you rent or re-sell it. If you have any questions or if I can help with your home search,please feel free to contact me. Your tips are quite interesting. Thanks a lot for sharing this useful information. Buying property in up-and-coming holiday hotspots is a sure fire way to make a large amount of profit when it comes to property investment. Property investment can also make a great income for those who don't choose to live in the apartment, house or villa. Renting the property out is the perfect way of getting your foot on the property ladder in a foreign country. This is really interesting blog post and gives good info to the readers. Thanks for sharing those tips on buying investment properties, those information would really help.